Gov. 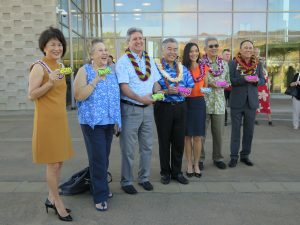 Ige, first lady and UH leaders at the creative media event. 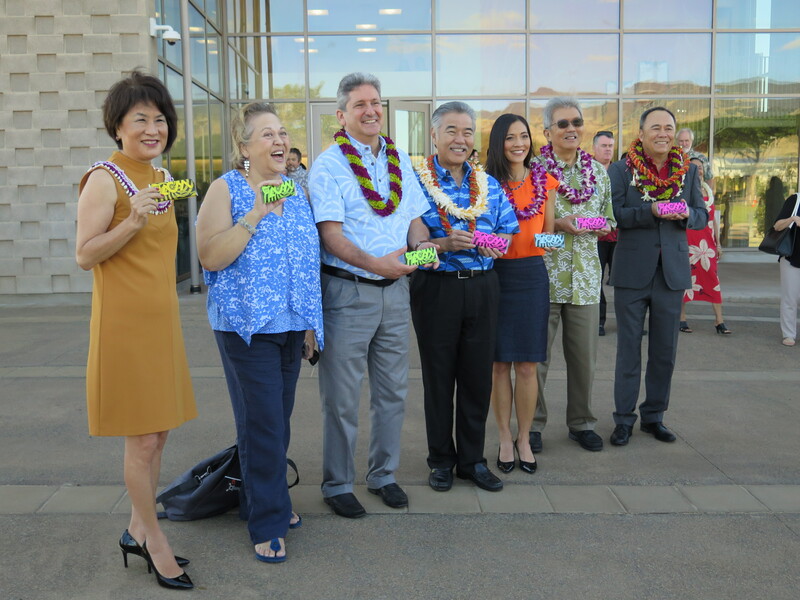 The next best thing to Hollywood is coming to UH West O‘ahu with a creative media facility that will fuel students’ imagination and talents and serve programs on all 10 UH campuses. 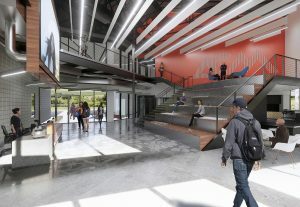 The $33 million complex, set to be completed in June 2020, will include a sound stage for filming, a 100-seat screening room, editing and sound mixing suites and a mill shop to create film sets as well as computer labs and an area for student-run companies. The creative media hub will help prepare students for work in tech-focused careers such as cinema, video game development, interactive design, computer animation, visual graphics, television production and new media. Transfer agreements with UH’s community colleges allow creative media graduates from the two-year campuses to complete a four-year degree. An architectural rendering of the lobby in the $33 million creative media facility.